View More In Drip Irrigation Kits. 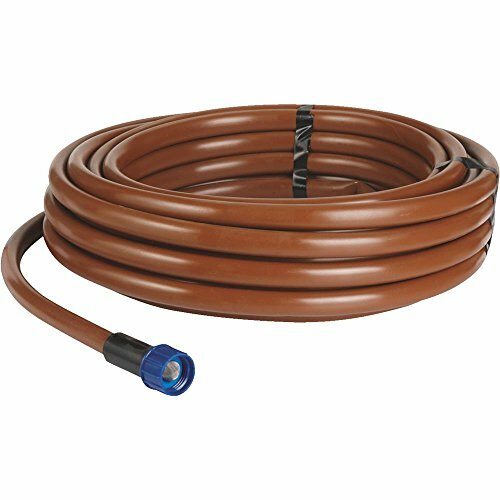 This 50' supply tubing's built-in 1/2 GPH turbulent flow (non-pressure compensating) drippers spaced at 12" intervals combine the reliability of drip watering with the convenience of soaker hose. Comes with fittings needed to connect to water source. If you have any questions about this product by Raindrip, contact us by completing and submitting the form below. If you are looking for a specif part number, please include it with your message.